I am a member of a traditional Lutheran church. We have recently made an attempt at starting a "contemporary" worship service. 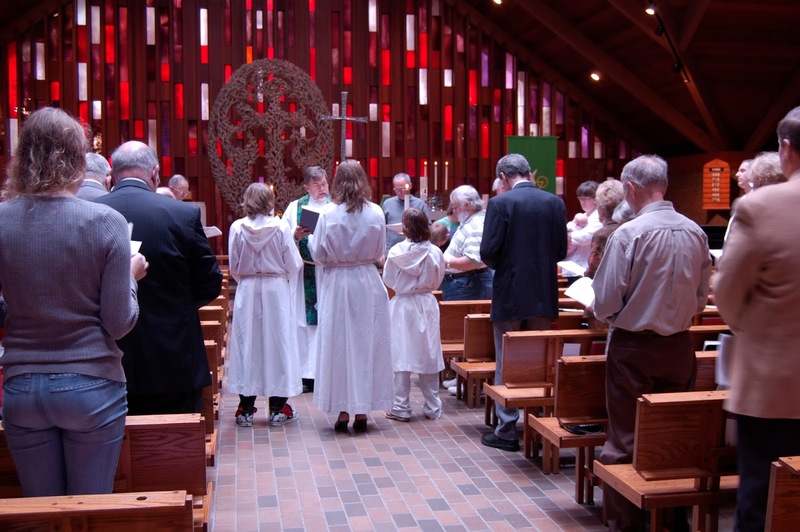 We still have retained the 4 required elements of a Lutheran worship service - the gathering, the word, the meal, and the sending - but aside from that it's pretty loosely Lutheran. We do the confession at the beginning, and the prayers before communion, but the rest of it is mostly music and reading of scripture. 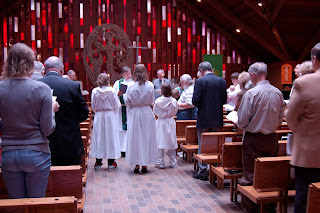 Since nobody in our church has ever led a contemporary worship service, we hired a worship leader who is not from the Lutheran tradition, thinking that she would not feel such a need to stick to the more "traditional" forms of Lutheran service from the past and would bring us a more of a natural, contemporary flow to our worship. She stayed with us for about 5 months but has resigned. She gave many reasons for her resignation but the main one is that the Lutheran church is not her type of church. Her background is charismatic Pentecostalism. She said she does not find Jesus in our service and it does nothing for her. She is used to people raising their arms in worship, becoming emotional, and falling on the floor in tears. None of that happens in our worship. We are a rather controlled, quiet bunch. I know that it is a trend in modern churches to lean toward displays of rapturous emotion during worship. Many modern day Christians have come to expect some kind of emotional high at church, without which they feel they have not really worshipped at all. But is that really true? God looks on the heart, not on outward appearance. He does not compare two congregations in worship and say "Well, I like that one better. They are raising their arms while they sing. They must love me more." God is not that easily fooled. He knows what is truly in our hearts, regardless of what we look like outwardly. He does not need us to raise our arms and sway in rapture to the music with our faces bent heavenward to know if we love him or not. He knows those who do and those who don't. Lutheranism has roots in Germany and Norway, countries whose people are characteristically stoic and not given to open displays of emotion. Can one not worship God in spirit and in truth and still be quiet about it? Equating lack of emotionalism in worship to lack of true faith is like thinking that if you don't swoon every time your spouse of 35 years walks into the room, you no longer love him or her. Lutheranism is about God's grace for all people, and knowing God loves us, no matter how we feel. He is with us in the highs of our lives as well as the lows. His love for us and ours for Him is not dependent upon how we feel at the moment. Yes, it's great to feel joy and happiness in the presence of the Lord at worship, but we don't have to wave our arms in the air so everyone knows about it. It is enough that we know and He knows, and believe me He does. We can please God by worshiping Him loudly or quietly, and we can also please Him by loving our neighbor and doing what is right and good in our lives. We can please Him by quietly following Jesus' example and treating others as we would want to be treated. We can please Him by teaching our children and grandchildren about how Jesus sacrificed his life for them, and that we should live in service and sacrifice for others. There's nothing wrong with raising your arms in church and swooning if that's what you want to do, but there's nothing wrong with sitting quietly in the presence of the Lord and being content in the knowledge that we are loved, no matter what. "Be still and know that I am God." Should We Elect A Politician for President?